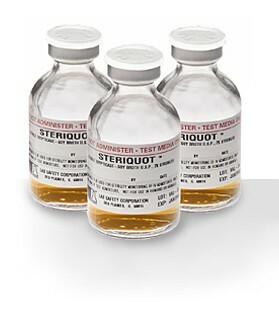 SteriQUOT is a non-destructive monitor of final SVP and syringe preparation sterility and may be carried out quickly and easily by the compounding operative within the normal course of compounding. An excellent spot-check of product sterility, SteriQUOT consists of multiple-strength, sterile Tryptic Soy Broth, USP concentrate, to which a 10-12 mL aliquot sample of CSP preparation may be added following compounding but prior to the product being delivered to the patient. 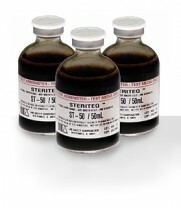 SteriQUOT is a non-destructive monitor of final product sterility which may be carried out quickly and easily by the compounding operative, within the normal course of compounding. 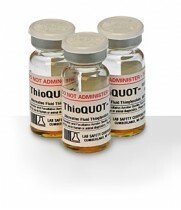 The interim, or end-product sterility of Injections, SVPs, LVPs, CVVHs, and TPNs may be quickly and easily monitored by the operative during the course of normal work-streaming. 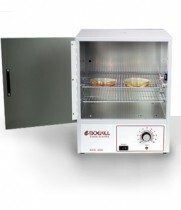 The product may also be used to analyze samples of High-Risk (ASHP Risk Level-3) filtration sterilization processes. 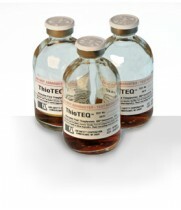 An excellent spot-check of product sterility, SteriQUOT consists of multiple-strength, sterile Trypticase-soy Broth, USP, concentrate, to which a 10mL aliquot sample of a CSP product may be added following compounding, and prior to the product being delivered to the patient.